This right-hand bats woman has made a name for herself at the global platform. Also the captain of Indian Women's cricket team in Tests and ODIs, 34-year old Raj is by far the most experienced Indian Woman Cricketer. At 17, she was handed her ODI debut against Ireland in 1999. She scored her maiden century (114*) in her debut match itself. She was handed her test debut in 2002 against England Women at Lucknow. Her career best of 214 came in her third test versus England. It was the World's Highest Individual score at that time. The feat was later achieved by Kiran Baluch of Pakistan in 2004. In 10 test matches, she has scored 663 runs at an average of 51. In 172 ODIs, she has amassed 5,614 runs. An average of 51.03 is the evidence of her consistency. Her leg breaks have yielded her eight wickets in ODIs. In 172 ODIs, she has amassed 5,614 runs which have come at an average of 51.03. She also has five ODI centuries to her name. 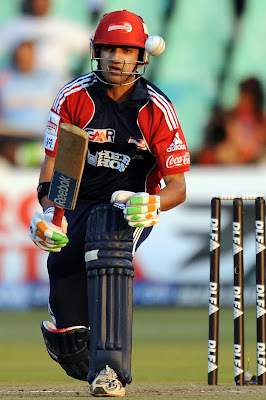 In the shortest format of the game, Raj has scored 1708 runs in 63 appearances for India Women at an average of 37.95. She is the highest run-scorer for India in ODIs and second-highest overall. Earlier this year, she became only the second woman after Charlotte Edwards (5,992) to complete 5,500 runs in ODIs. 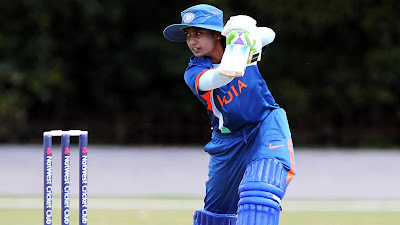 Mithali Raj is One of the Greats in the Modern-day Women's cricket. Just like her so many Indian male fast bowlers, she is also a product of the MRF Pace Foundation in Chennai. This tall right-arm medium bowler from Bengal is the fastest in the world of Women's cricket. Once a captain of the national team, Goswami now plays as a specialist bowler who has in her the skills to bat down the order. Her batting came into limelight during India Women's tour to England in 2006. Her all-round contribution was crucial in India Women defeating England Women in Leicester in what was also their first victory against England women. She is now the second-highest Indian Women's wicket-taker. She made her test and ODI debut during England Women's tour of India in 2002. In 10 test matches, she has 40 wickets under her belt. An average of 16.62 and economy rate of 2.02 speaks more about her bowling. In Women ODIs, Goswami's 177 wickets (in 151 matches) have come at an average of 22.09 and an economy rate of 3.19. She also has a half-century of wickets in the 60 T20Is that she been part of. Her record at the international cricket also includes 1,593 runs across formats. Right-hand bat. Right-arm medium. Right-arm off-spin. Harmanpreet is a fitting all-rounder to the game of cricket for any team. She is also the captain of Indian Women's T20I team. In the absence of Mithali Raj, she has (at times) taken over the reigns in ODI cricket as well. She made her debut during the ICC Women's World Cup 2009. The same year, she was handed her T20I cap as well. She made her test debut in 2014 which states the low number of test matches which are organised in Women's cricket. In June 2016, she became the first Indian cricketer to be signed for Women's Big Bash League when Sydney Thunder acquired her services for the 2016-17 season. Just like her international career, she performed well there as well. She made the headlines last month when she scored a six when India required eight runs in two balls vs South Africa in the final of the ICC Women's World Cup Qualifier. Her 1,632 ODI runs have come at an average of 34 in 64 matches. In 68 T20Is, she has 1,223 runs to her name. She also has 30 international scalps across formats at the highest level. At 28, she is one of the leading cricketers in Indian Women's Team and possesses the abilities to become one of the best in the world.